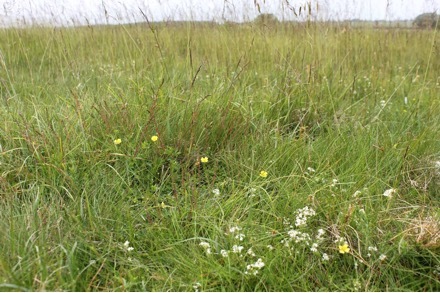 Some people are trying to make out that Rampisham Down SSSI is a poor quality, low value piece of wildlife grassland, or, as Professor Ghillean Prance, former Director of Key Gardens said a “very degraded and often impacted habitat”. They have posted photos of the turf, taken in winter, when the flowers are dormant. It looks scruffy, but then it would, if it hadn’t been managed properly for the last three years. 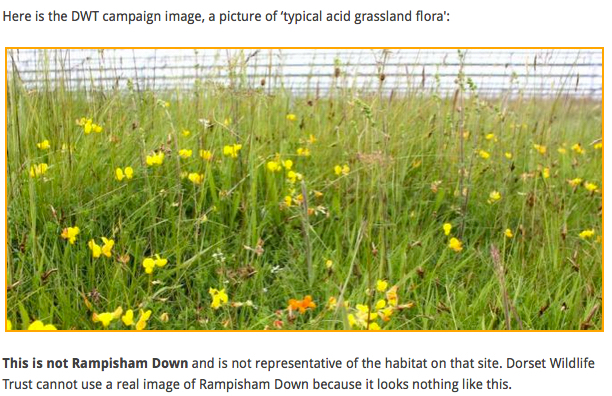 They have even claimed that the photo used by Dorset Wildlife Trust to illustrate Rampisham was not taken at Rampisham, because “it looks nothing like this”. Well… you can clearly see the Rampisham electric ducting in the background. Ok that’s not definitive. 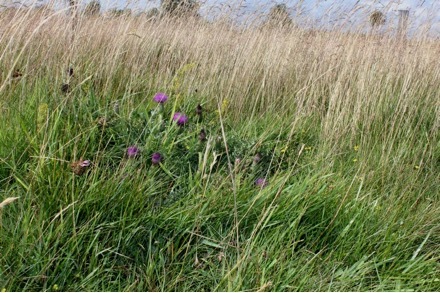 Oh, but Natural England used a close-up of this same photo on their website when they announced that Rampisham had been designated. Here it is…. 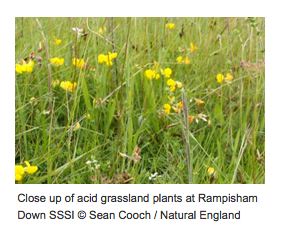 I was getting a little bit confused about which photos were taken at Rampisham and which weren’t, so I asked Natural England to provide me with the photos (and their captions) taken during their survey work at Rampisham. Here they are for everyone to see. They are all (c) Sean Cooch, Natural England. 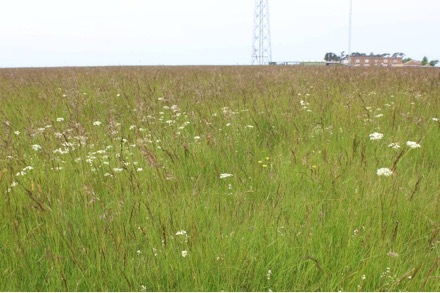 It looks to me as though photo 8 is the same stand, with Bird’s-foot trefoil, as the stand in the photo that British Solar Renewables are claiming wasn’t taken at Rampisham (but clearly was). Photograph 2: Detail of a small stand of H8b heather – western gorse heath, east of the transmission station buildings. Heather, bell heather, western gorse, tormentil, heath speedwell, heath bedstraw and pill sedge are characteristic. 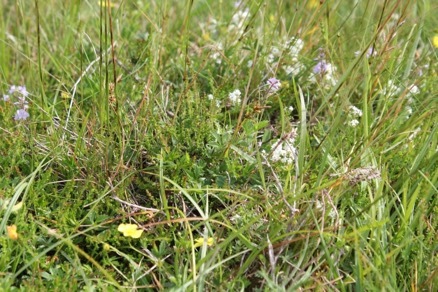 Photograph 5: Detail of U4a/H8b transitional community found on the eastern side of the site, with abundant lousewort, tormentil, heath milkwort, heath and thyme-leaved speedwells, heath bedstraw, pill sedge, spring-sedge, western gorse and heath-grass. Typical heathland associates not recorded in quadrats but in the stand include heather and heath-spotted orchid. Photograph 6: Large stand of H8b on eastern side, sloping south off the plateau. 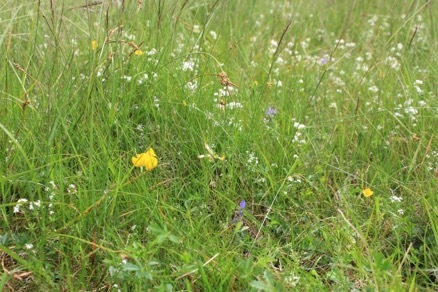 Characteristic species shown here include heather, bell heather, tormentil, heath bedstraw, mouse-ear hawkweed, bird’s-foot-trefoil, pill sedge and heath-grass. 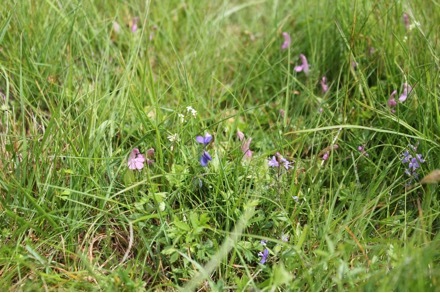 Photograph 8: Stand on south-western side of transmission station that conforms to U4c bitter vetch – betony sub-community (Cooch & Biron 2013). 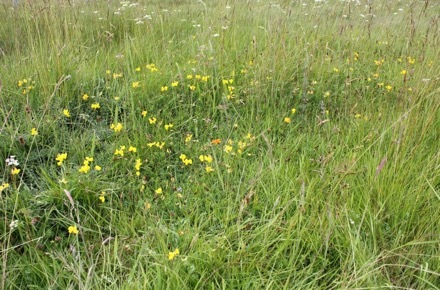 Bird’s-foot-trefoil is very abundant with lady’s bedstraw, heath speedwell, heath bedstraw, pignut, heath milkwort, ribwort plantain, dwarf thistle, spring-sedge and field woodrush. Photograph 9: Area of significant disturbance on plateau west of the transmission station. 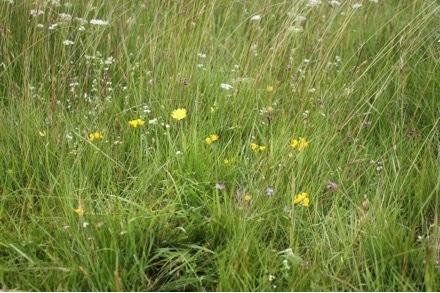 Recovery is underway (end of June 2013) and plants such as tormentil and bird’s-foot-trefoil, as well as bent and fescue grasses are obvious. 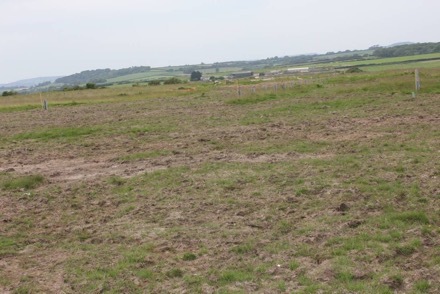 It is likely however, that full recovery will take several years in some places due to compaction, waterlogging and rutting. 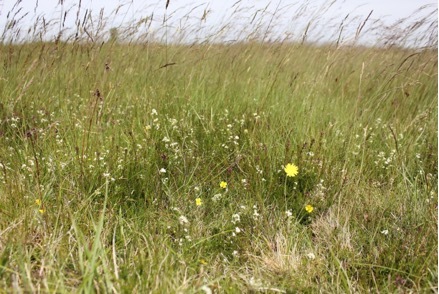 This entry was posted in Natural England, Rampisham Down, Solar Farms, Uncategorized and tagged British Solar Renewables, Natural England, Rampisham, Solar Farms. Bookmark the permalink. It just shows that, as a general rule, even if they are not subject to nature conservation designations, it is worth taking photos of places that are wildlife rich from to time to time.